ཉ to optimize the efficiency, the aerodynamics were improved. Little mass and a small front area result in a small power consumption. 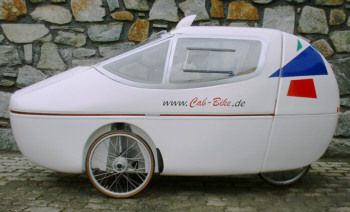 ཉ because of the good whether protection, the Cab-Bike can be used all the year.